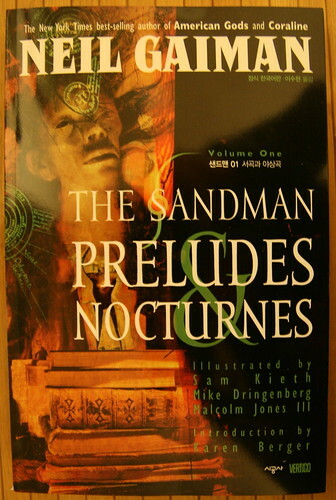 Paul Ajosshi: Sandman in Korean! 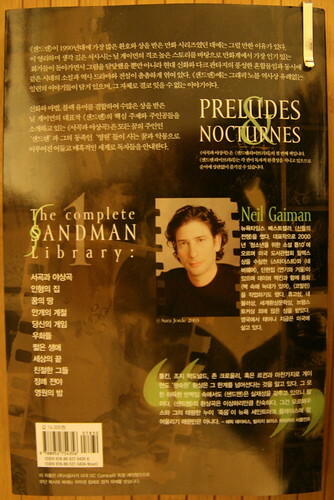 Wonderful news for Korean speaking fans of Neil Gaiman - The first two volumes of The Sandman graphic novels have been published in hangul. It's good to see that Sigong have taken the lead in translating some of the best graphic novels into Korean with Watchmen, Justice, Kingdom Come, Ronin and V for Vendetta already published, here's hoping they get round to The League of Extraordinary Gentlemen, Transmetropolitan, Preacher and Fables.